K LOVE Radio is one of the most famous online radio station on the USA. K LOVE Radio broadcast various kind of latest hip hop, classic, dance, electronic etc. music. K LOVE Radio is live broadcasting from the USA. 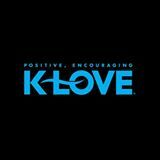 K-Love began in 1980 as a single radio station with the call letters KCLB. It was a full-time contemporary Christian music radio station, launched by radio personality Bob Anthony, in San Francisco. After several tries at purchasing a station in San Francisco, a small, non-commercial radio station was acquired just north of San Francisco in the city of Santa Rosa for $67,000. On October 15, 1982, 91.9 KCLB came on the air for the first time with Bob Anthony as an announcer. The very first song played on KCLB was “Praise The Lord” by The Imperials, which was a hit on the Christian Music charts in 1979. During the decade of the 2000s, K-Love went through a period of expansion through the purchase of stations and translators across the United States. On October 5, 2000, Colorado Christian University sold KWBI Morrison/Denver, KJOL Grand Junction and KDRH Glenwood Springs, Colorado as well as 18 translators to K-Love. The Colorado radio network was sold for a reported $16.6 million.